The Malayan resembles the more frequently-encountered Common Hedge Blue (Acytolepis puspa lambi) at a glance, but is much smaller, and features short filamentous tails at vein 2 of the hindwing. It is skittish but often stops to perch at its favourite leaves on warm sunny days. Unlike the Common Hedge Blue, the Malayan is brown and largely unmarked above except for a paler discal area on the forewing. The jet-black eyes of the Malayan are large relative to the size of the butterfly. 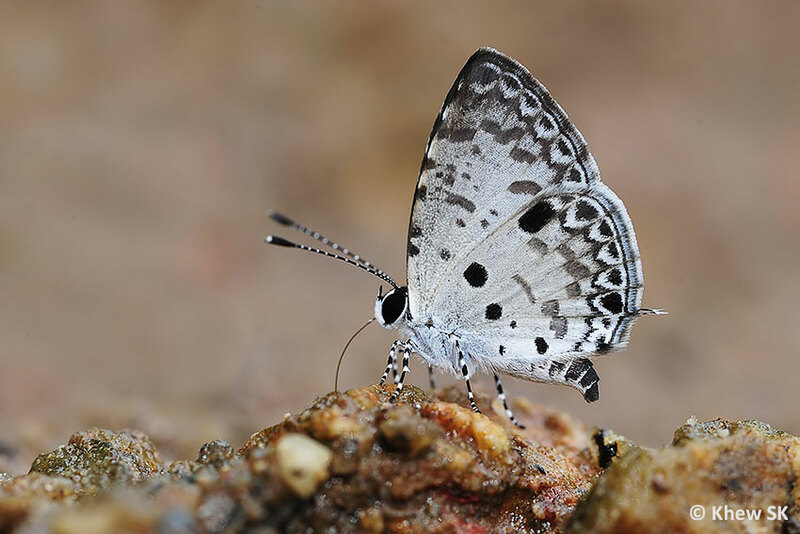 It can sometimes be found puddling at damp forest paths and along the sandy banks of forest streams. The Malayan is widely distributed and can be found in forested areas as well as urban parks and gardens.